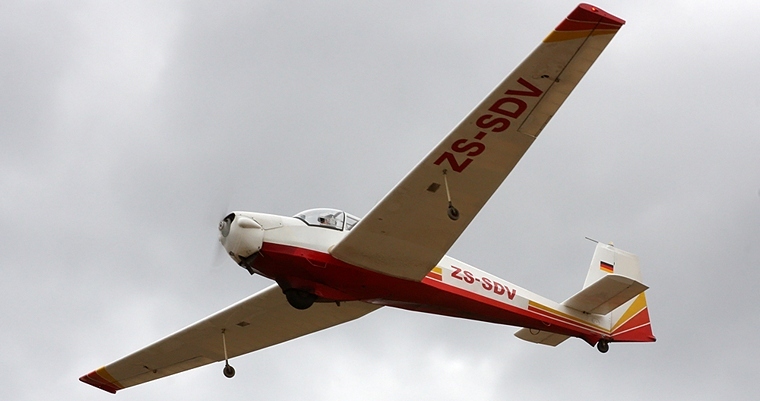 The Aero Club of South Africa Transformation and Development section together with The Soaring Society of South Africa hosted a very successful Touring Motor Glider Fly Inn, at Kranskop Glider Club situated at the ever friendly Brits Airfield. 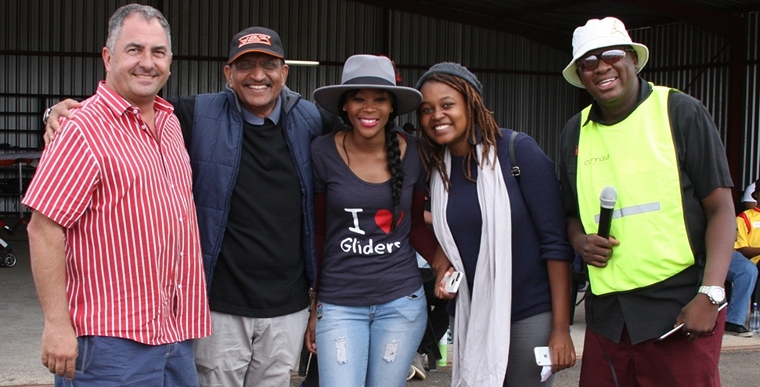 Daniel Ralefeta and his team: Elijah Rakoma, Joseph Lebitsa, Gift Kgadima, Thabang Kotlolo, Phemelo Kgoale once again out did themselves making everyone fell very welcome. Dan joined forces with SSSA to promote Aviation Awareness amongst the youth and also invited many representatives from the Department of Sport and Recreation giving them a very personal introduction to the sport of gliding, offering flights in TMG's which for some of them was their first taste of flight. 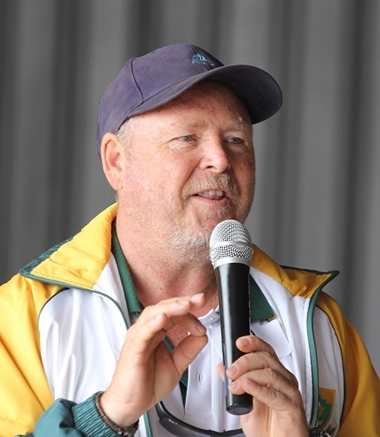 Official proceedings were kicked off by a warm welcome from the ever humorous retired airline pilot Capt. Karl Jensen. 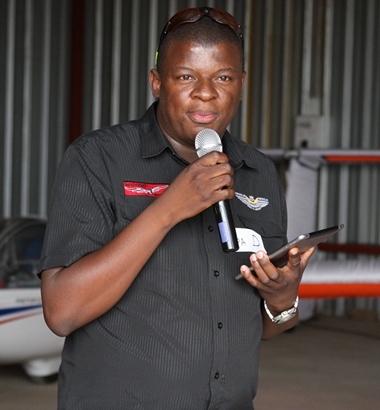 Daniel Ralefeta gave a very informative talk outlining the importance of transformation in the aviation industry and shared a few of their recent success stories, these being the progress of two young men, Gift Kgadima and Simon Tladi. 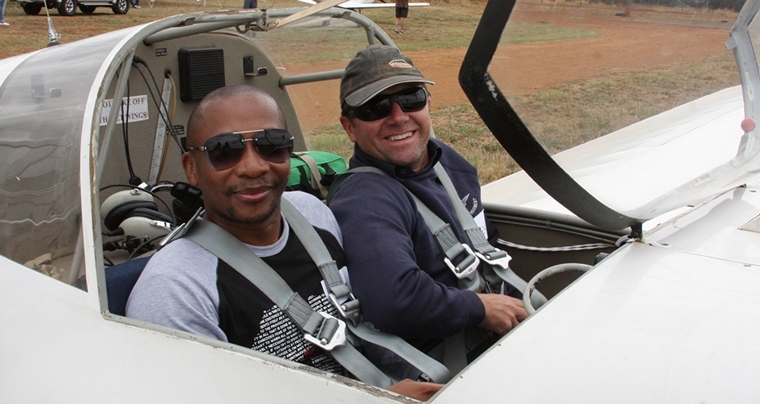 Both Simon and Gift have exceled after receiving opportunities and both of them were piloting aircraft used to take visitors for flips on the day. 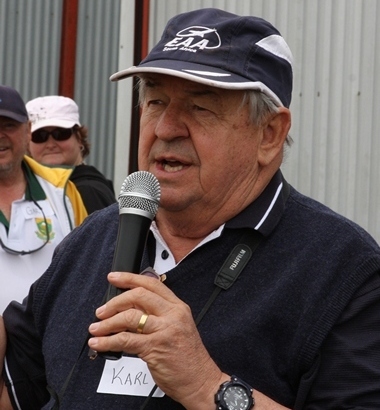 Arjan Schaap, a local glider and TMG pilot from Kranskop informed every one of the purpose of the event and offered a layman's description of the differences between a Touring Motor Glider and a conventional glider. 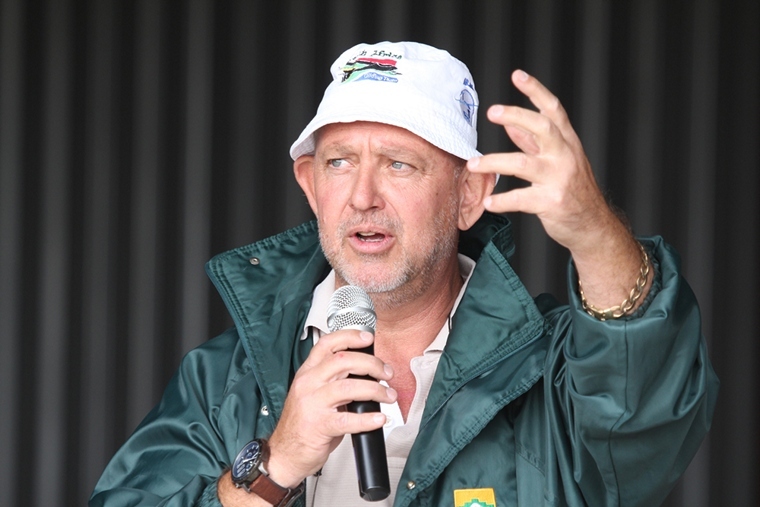 The outgoing general manager of the Aero Club of South Africa, Kevin Storie gave a very informative talk on the importance of the Aero Club and also outlined the purpose of each department in the Aero Club. Kevin was also one of the extremely busy pilots that spent the day taking the enthusiastic visitors for flights. 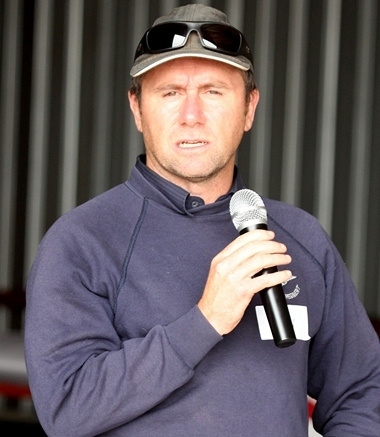 Gary Whitecross from Springs Airfield based Airplay Aviation flight school stepped in as safety officer on short notice as the originally designated safety officer was unable to fly in due to bad weather. Gary also spent the day taking people of all ages for flips, in his beautiful Lambada TMG. 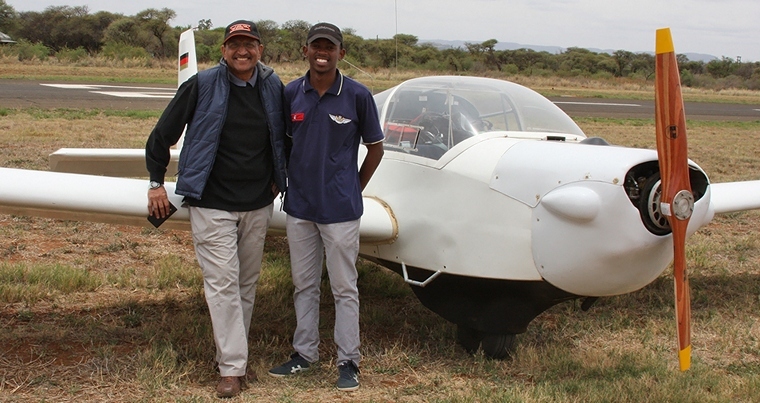 Col Rama Iyer, a fighter pilot and instructor from both the South African and Indian Air Forces shared some of his vast knowledge of aviation safety with all present, emphasising how important the correct attitude is to safety in the air. 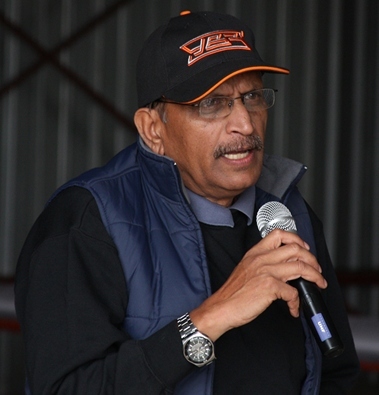 Rama was up until recently the Director Basic Training in the SAAF. 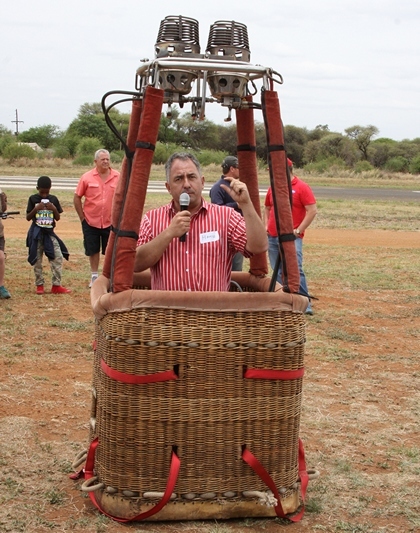 Hanke Fourie brought his hot air balloon basket along and created quite a stir by lighting the burners. He also explained to everyone exactly how a hot air balloon works. Unfortunately he couldn't fly as it was too late in the day and balloons fly best in the very early morning air. 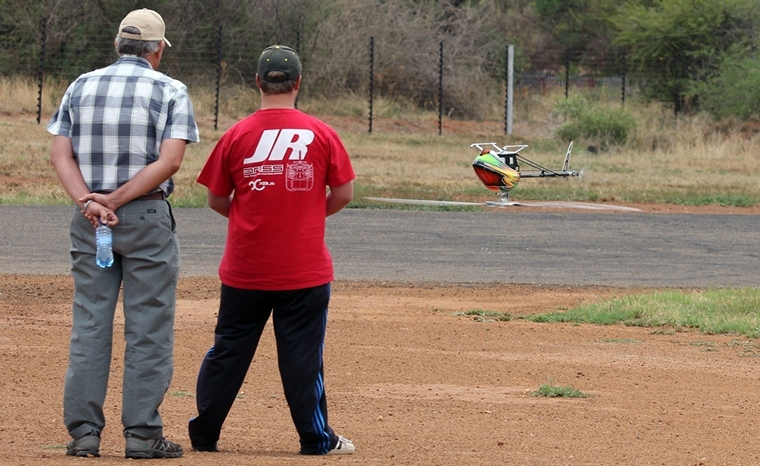 The visitors were all stunned by a display of absolute skill when Bryan Currie and spotter Johan Sieling put his radio controlled helicopter through its paces, flying it inverted and whipping it around the air at an unbelievable speed, Bryan recently obtained National Colours and took part in the world championship. All the Commercial Pilots present were encouraged to enter a competition where they could win a conversion on a Motor Falke. Three of these packages were donated, unfortunately there were only three Com pilots there so each one of them walked away with a conversion, I'm sure they will lots of fun flying in these 40 year old beauties. While everyone was enjoying their flights people were encouraged to try out their gliding skills in the simulator. 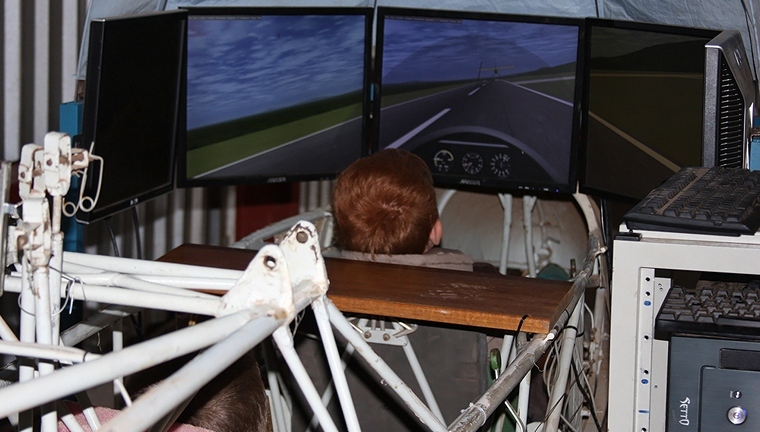 This simulator is built in an actual glider fuselage, the experience is very real and the younger crowd spent hours flying around. 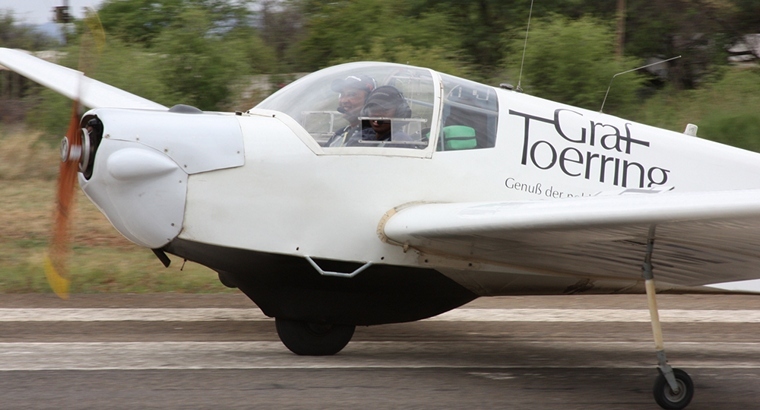 Not even the low cloudy cool weather kept the pilots away, with no less than 15 TMG's flying in for the day, the furthest was undoubtedly Henk and Quinton that made their all the way from Bloemfontein the a Pipistrel Sinus. 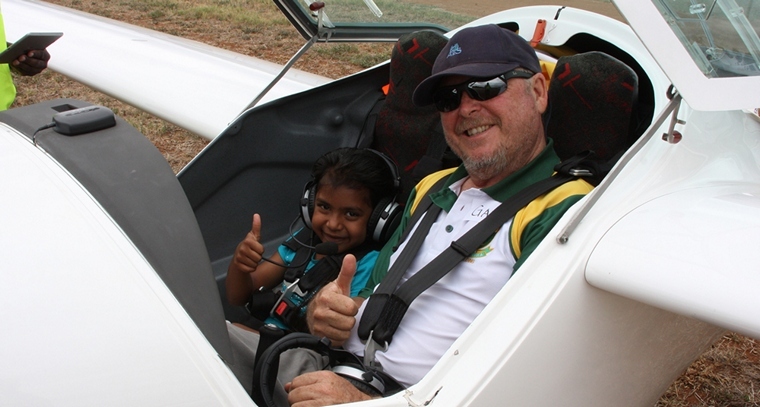 It's great to see the TMG community coming together to support a common goal and a big thank you to all the pilots who offered up their time and aircraft to introduce future aviators to the wonderful world of aviation. 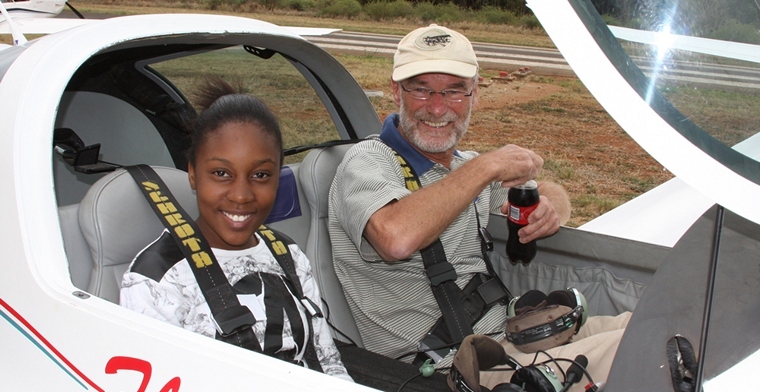 The look on a young person's face after experiencing flight for the first time is something to be cherished forever. 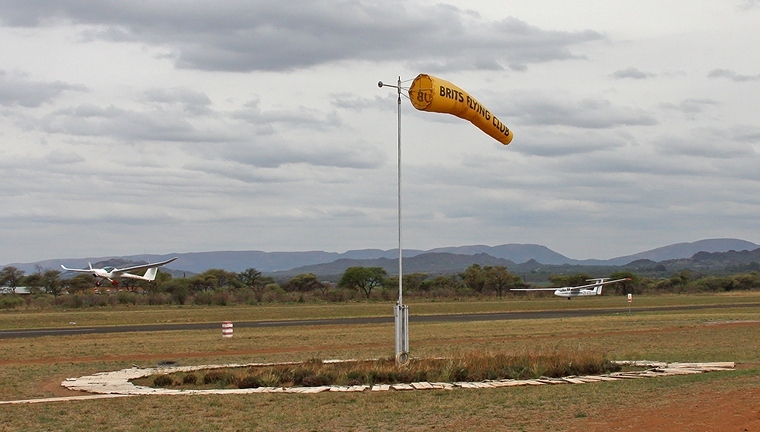 Brits Flying Club as always made the day exceptional with their support, I believe Brits is still one of, if not the, friendliest air field in South Africa.